Gamification is one of the most used techniques to improve active participation and engagement in different kinds of contexts. The use of game techniques is effective in pushing subjects to be involved in an activity. Since the early childhood, indeed, the promises of rewards are useful to affect specific behaviors. On the other hands, the learning analytics have been largely implemented in education in order to improve the assessment and the self-assessment of students, above all in e-learning settings. 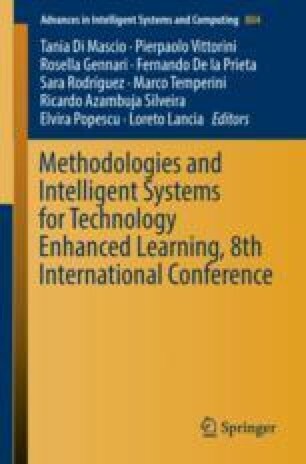 The research presented in this work aims at combining gamification techniques and learning analytics to improve the engagement in University courses. The paper describes a model of gamification and a learning dashboard defined based on data in Moodle e-learning platform. A pilot test of an app android in which both the solutions have been implemented pointed out promising results.